Cometh the moment, cometh the bar... a ‘Madagusher’ that digs a different hole by digging the same hole deeper to echo Alan Watts’ “nothing’s exactly as it seems, nor is it otherwise”. 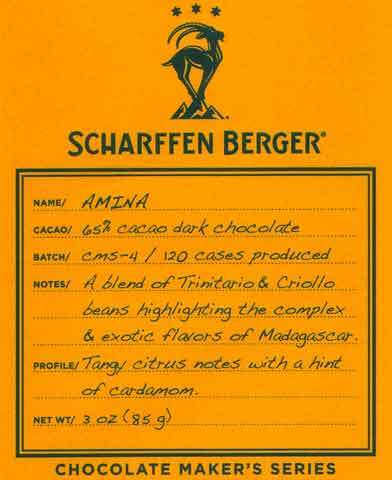 Scharffen Berger, the proto American micro-processor starting in the 1990s, coming late to Madagascar – among the most over-represented origins; 2nd only to Ecuador in inundating the retail market with its traditionally spritzy cacáo. 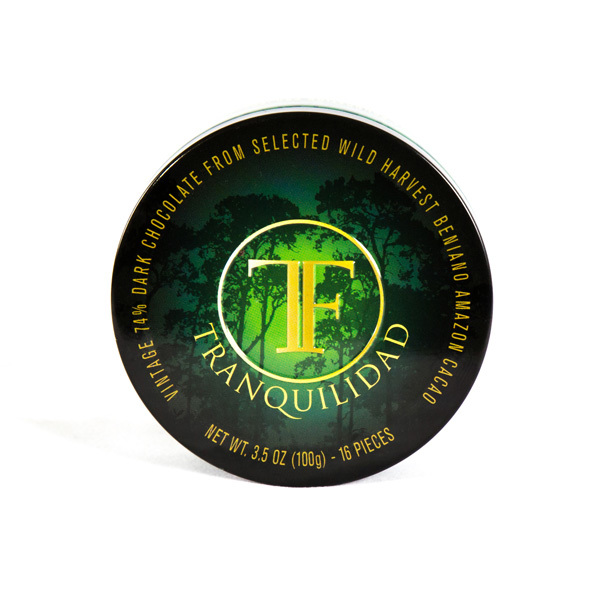 True, the label dabbled in the ill-fated Kumasi-Sambirano, a pan-African blend from Madagascar & Ghana but this marks its first "single origin" from this island. 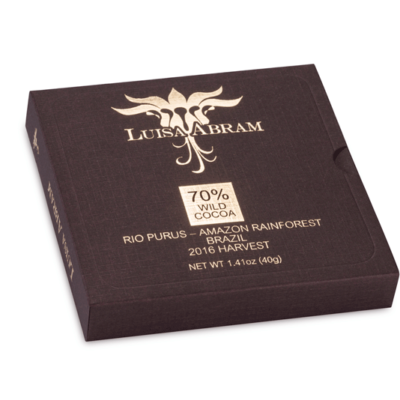 At 65% a bar that stands out from the semi-sweet field crowding the Mad island (Guittard’s Ambanja, Valrhona’s Ampamakia, Cluizel’s Mangaro, Theo, Lindt, et.al.) + the full make-up kit to go with the ample sugar (vanilla, lecithin, add’l butter) puts it squarely in the classical camp. It also renders a highly balanced CBS (Cocoa Mass/Butter/Sugar ratio) of a Manjari-like ~4:5:5 (but ups the mass content) that extends throughout the progression in virtually every aspect. The usual S-B red-fruit blush – very suitable for this the “Red Island” - but different too. 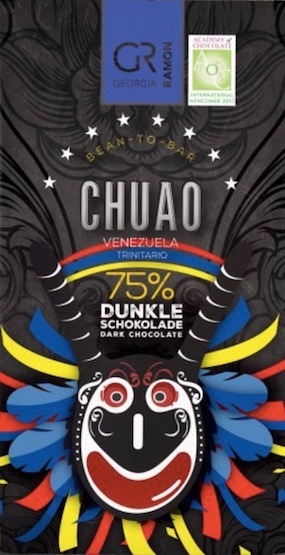 All the signature acidity one expects from Sambirano Valley cacáo yet moderate at that, & disbelieving in its solid chocolate counterweight (again, because of that fractionally greater cocoa mass to sugar / fat). The mainstay here being the conche -- wound tight to bind up the sugar crystals & coat the cocoa particles, felt readily in the rather unpliable Texture. Hence, a bar that takes awhile to grab hold. Once it does, it haunts. As foreshadowed in the Aroma, this lets the bar play darker / bigger than its percentage, nearly veering into Richart 70% territory. Instead of rolled off, Madagascar’s drippy volatiles roll under the pressure of the tannins to gush thick & heavy. As such, it misses some charisma of Vestri’s Mad or Guittard’s Ambanja but compensates with stamina & symmetry. A tall effort by S-B to restore order to the lagging fortunes of Madagascar frittered away by many recent failures.